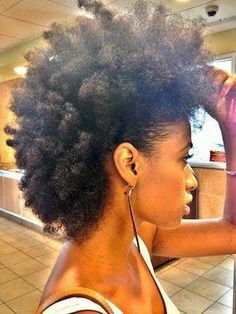 Naturally curly hairstyles can be a real disaster for many women because hair is dry and frizzy and stretch out to all sides out of control. That is why many African American women come to choose box braids, cornrows or any other braided hairstyles. But this doesn't mean that there is no way to show off natural curls. If you take proper care natural hairstyles for black women can become your pride and your flirty coils will blow off heads. I have collected come ingenious ideas for natural curly hairstyles in this post, let's have a look now. They say that the shorter hair is, the easier it is to deal with it. This extra short haircut for curly hair is very cute still boyish, reminding a pixie. And no one can tell that it lacks femininity. Big hairstyles sometimes look incredibly nice. Springy curls hide the frizzy feature of the hair and shows it in the best possible way. 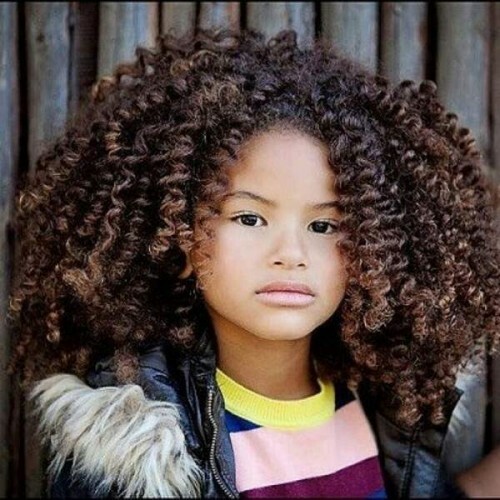 You can choose to highlight some of the curls that will add some life to the texture, and wear the gorgeous natural curly hairstyle side or center parted. 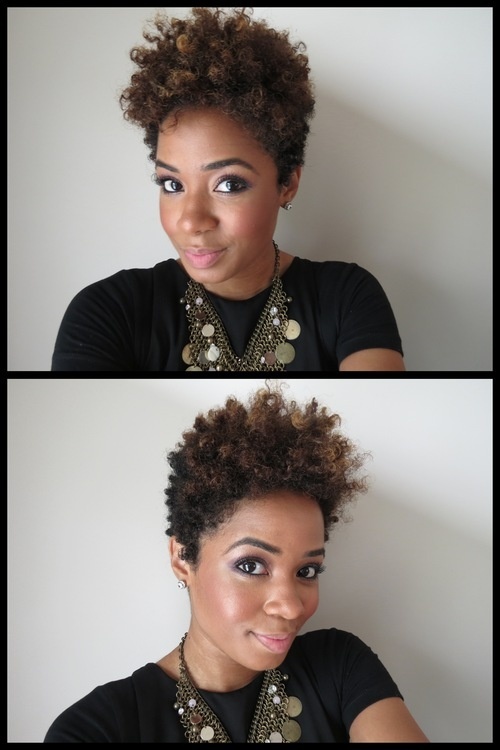 Natural curls can be designed into an asymmetrical hairstyle if you grow them a bit to have at least medium hairstyle. 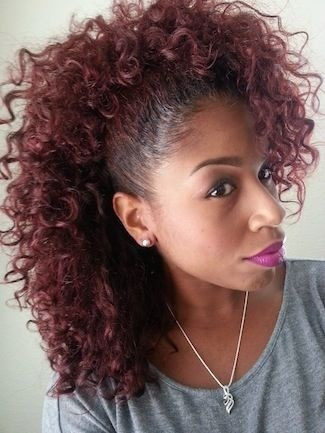 Try a daring hair color like burgundy to create an incomparable eye catching look. Make the sides sleek, frame your forehead and you will get such a nice puffy hairstyles, that looks like a Mohawk and yet is natural and very curly. Looks like a bun, right? But in reality just style back your curly hairstyle and leave the ends free. 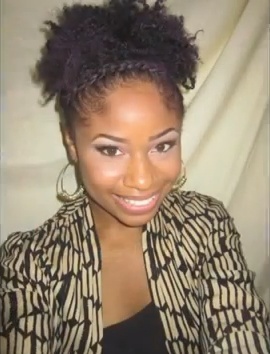 Update your image with a braided bang and you will get such a fabulous natural curly hairstyle.